All too often we ignore signs that are meant for our safety, or to control what we can legally do or not do. How many of us have ignored “No Parking” signs or failed to really stop at a Junction. But I’m not here to lecture, instead here are some signs that I had fun photographing. Taken in the National Slate Museum at Llanberis, North Wales, the sign on the wall gives instructions for how the turning gear should be operated. 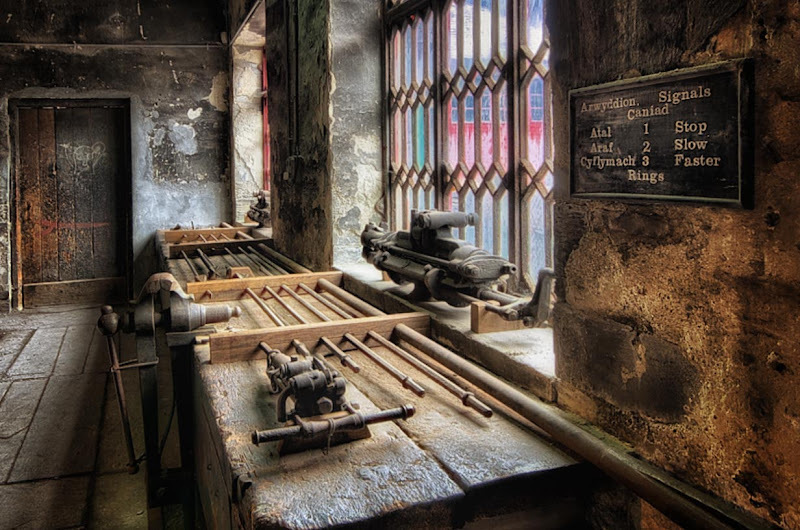 The slate museum is a great place to spend a day photographing all the old workshops which date back from when the slate quarry was still operated. When I lived in Somerset I was luck to live by the sea. 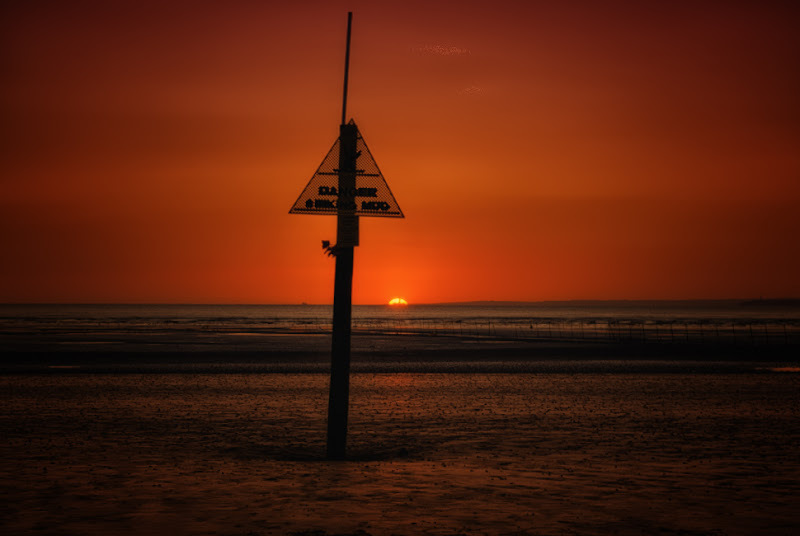 Being on the west coast we got some great sunsets and this sign silhouetted against the setting sun warns of the dangers of walking beyond it due to sinking mud. The Bristol Channel is a tidal estuary and when the tide goes out, it goes out some distance. 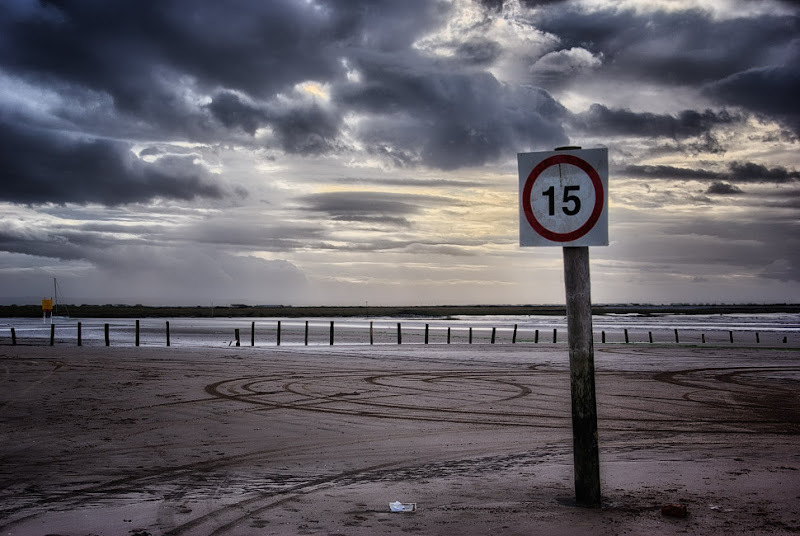 Although there are beautiful wide sandy beaches beyond those signs, thick cloying mud is exposed. It doesn’t pay to walk on it…and yet, people do. Sometimes they get away with it, sometimes they don’t. The result is they have to be rescued because they have sunk into the mud. Made even more dangerous when the tide comes in. Those wide sandy beaches are a magnet for youngsters and they’re cars at night. They come down to the beaches and perform manoeuvres that they would never be allowed to do on the roads, at least, not legally. What I find so funny is that the town council expect them to stick to the speed limit. Great shots, Mike! And thanks too for the pingback. You’re welcome on the ping back and thank you for your comment. Great photos! I especially like the last one. Very nice photos, Mike and the final one is very amusing too.